As a basketball player, it is vital to stay hydrated when you’re out on the court. Whether you are playing indoors or outdoors, you can become dehydrated and it will affect your performance. Often times, when playing indoors, players don’t realize that they are becoming dehydrated because of an indoor court’s ability to trap in humidity. No matter where you play, proper hydration cannot be emphasized enough. 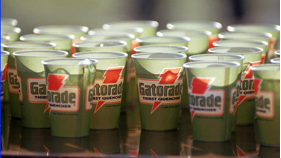 Inadequate hydration will affect your health as well as your ability to perform. A fluid loss amounting to 2% of your bodyweight has been shown to negatively influence basic body functions. The best strategy is to gradually hydrate throughout the day and the most recommended fluids are water and sports drinks. Hydrating before a game is absolutely essential to be at your best. Take in 14 to 22 ounces of fluid 2 hours prior to game time, including about 8 ounces within an hour of the game. That being said, consuming too much beyond 8 ounces directly before game time is not recommended. Forcing large amounts of fluid on yourself right before a game can have negative side effects and slow you down. Doing some pregame hydration can save you from fatigue throughout the game and give you a nice energy boost without you feeling the need to force feed yourself water to get ready for the game. Just as vital as it is to be hydrated going into a game, staying hydrated during a game is just as important. During the game, you should be drinking somewhere between 6 and 12 ounces of fluid every 20 minutes or so. Depending on how much you are playing, you may need more or less than this, but this can be a helpful basic guideline to follow. If you are getting a lot of playing time, supplement your water intake with a sports drink to refuel your body. Sports drinks not only replace the fluids lost through sweat, but also replenish glycogen stores that are used during prolonged periods of exercise. During a game, take advantage of any breaks in play to rehydrate by taking small sips of a sports drink or water. Sometimes, during a game, breaks are few and far between, so take advantage of them every chance you get. After a game, your body needs to recover from the fluid loss and muscle damage endured. A postgame drink of 16 to 24 ounces for every pound of body weight lost during the game will greatly enhance your body’s ability to recover. Weighing yourself before and after vigorous activity will give you an idea of how much fluid you will generally need after a game. Consuming an adequate amount of liquid after the game (as well as before and during the game) has also been shown to greatly reduce muscle soreness and recovery time. Proper hydration is just as important after the game is over. Playing out in the elements, particularly in hot weather, really brings hydration into focus. When playing in hot weather, bring water or a sports drink with you. It’s easy to forget, but nonetheless important. When playing outdoors in hot temperatures, you should be drinking about 20 ounces every 30 minutes, without exception. Make sure you are taking breaks every so often to allow yourself the opportunity to rehydrate. If you don’t, your body will suffer along with your game. So preserve your health and your game and stay hydrated. To avoid dehydration, drink water constantly. Don’t let your thirst dictate when you get a drink. If you wait until you are thirsty, you’ve waited too long to hydrate yourself. Don’t just drink water before, during, or after a game. Drink water throughout the entire day. If you try to start hydrating by overloading on water right before a game, it will do more harm than good. Dehydration can lead to cramping as well as other injuries or problems. Being aware and learning proper hydration is the key to maximizing your time on the floor.